After lunch at the Matadero, we headed to the Museo Reina Sofia, which is Madrid’s hub for 20th century contemporary art. We had a guided tour there as well, and after we went back to the hostel for a bit to relax and re-energize, we headed out to the Cardamomo Club for a flamenco concert. The energy in the club was undeniably high. 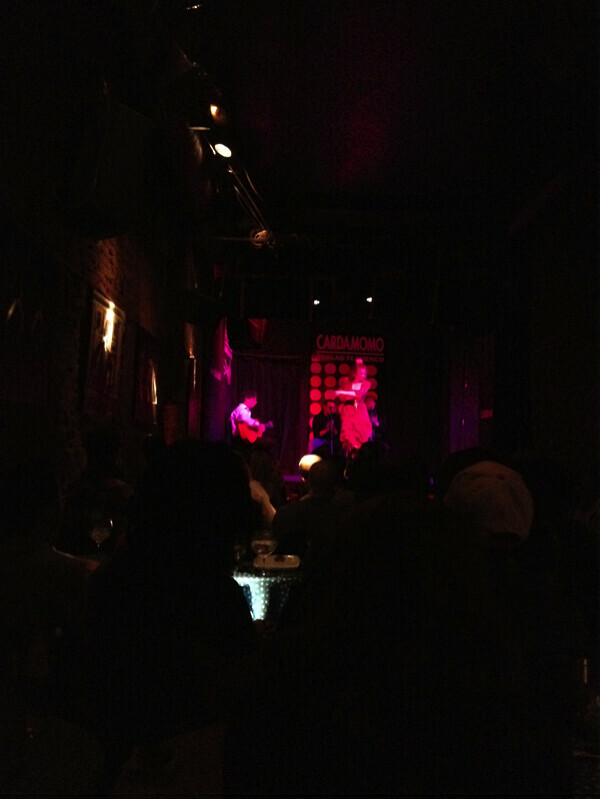 After the show was over, a few of us headed out to explore Madrid and check out a few other clubs. This was later a regrettable decision. Now whenever I am hustled on the street for entry into a club, I always have 2 questions – “Cuanto cuesta?” which translates to “How much does it cost?” I am a college student, so if it is over 5 euros, I will be heading the opposite direction. The 2nd (and apparently more important) question is “Qué tipo de música?” which translates to “What type of music?” I have learned since that night that when they tell you “all types,” they really mean it. However, under no circumstances (including free entry) is “Who Let the Dogs Out” an acceptable song in a club. From now on, that is my 3rd question so I don’t get stuck in that situation a second time. 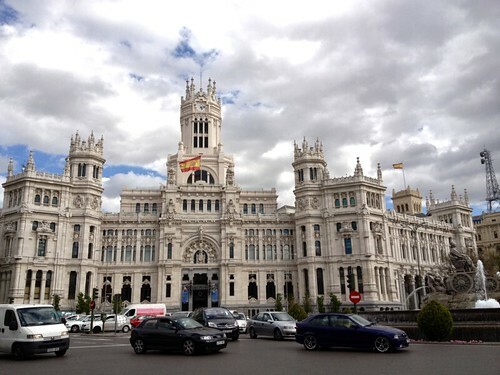 On the 2nd day, after I had mentally recovered from hearing that cringe-worthy song, we took a walking tour through Old Madrid and ended up at the Prado Museum after a stop at the street market. The Prado contains the most extensive collection of Spanish art in the world. I wouldn’t consider myself a huge fan of museums, but I could have spent the entire day in here. It is full of history as well as a plethora of beautiful paintings. We were only given a short amount of time here because of their Sunday hours, but it was enough to know I would love to go back. That night we all split off and did our own thing. For me, this included an unhealthy amount of sushi and an early end to my night due to an unprecedented attack on my immune system. In reality, I was tired and had a cold, but it sounds less lame in the previous sentence. The 3rd and final day was definitely my favorite out of the entire trip. 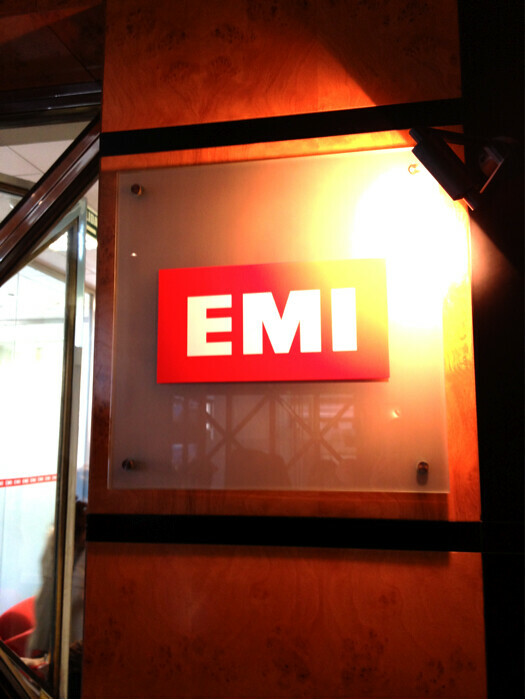 We went to the EMI office and listened to a presentation. I found it particularly interesting because we are always hearing so many negative comments about major labels, yet I found their presentation very humanizing. The way the spoke about their artists and their tailor-made strategies really made me feel that they have genuine concern for the artist’s career, not only for the success of the label, but for the personal success of the artist. We also listened to Javier Estrella speak about the Madrid Jazz Festival, which will be held in late 2012, and I would recommend it to all of the jazz fans out there. We then had a delicious lunch at a restaurant close by, and I entertained the patrons by playing and singing a few signature Adele hits. It was a huge hit. Some people were covering their ears and multiple people left during the middle of it, but I am just assuming they are just uncomfortable with showing their emotions in public. I’m sure videos will surface eventually, so don’t worry if you weren’t there. 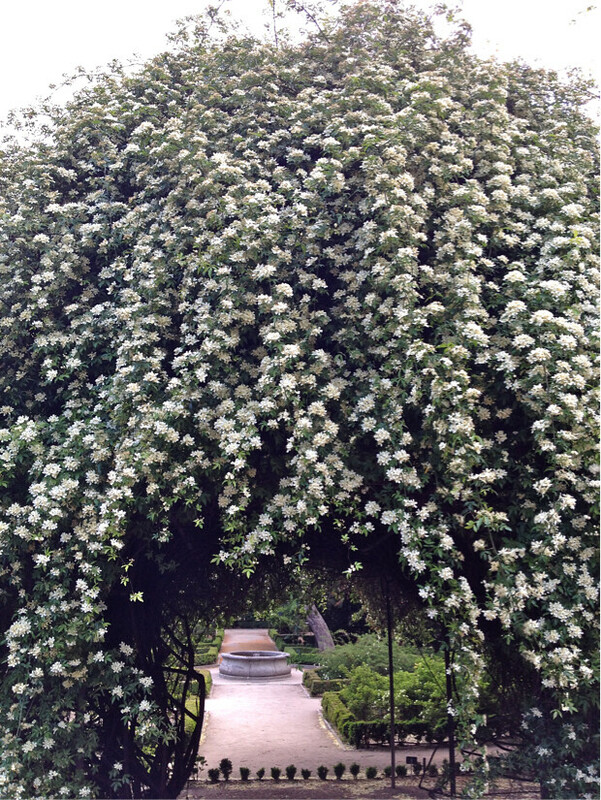 To finish off the trip, some of us headed to the Botanical Gardens right next to the Prado. We stayed for a while and then headed back to the train station and came home to Valencia. The trip was very informative, but at the same time it was very relaxed and fun. I am very lucky to be here with such a good group of people and we always have an amazing time, no matter where we are. Unless we are at a club playing “Who Let the Dogs Out.” That’s hard to bounce back from. The Blind Woods @Bonnaroo – year two!